In the workplace, orientation is the process of introducing new, inexperienced and transferred workers to the organization, their supervisors and co-workers, work areas, and jobs. It is an important process because it includes a general introduction to occupational health and safety, and through orientation workers gain knowledge of their workplace rights under health and safety legislation, understand the role of health and safety management system within a workplace, and learn how to identify job-related hazards to work safely. The Right to Refuse unusually dangerous work or tasks believed to be unusually dangerous. The first step to refusing unusually dangerous work is to report the issue to the direct supervisor and the reason for refusing. This might include things like inadequate training to complete the task, broken or damaged tools, and handling dangerous or hazardous materials, among others. any other matters that are necessary to ensure the health and safety of the worker while the worker is at work. provide an opportunity for workers to ask questions that may have arisen since their last training and to share their experience with co-workers. Orientations are usually provided by supervisors and human resource personnel. On-going and more technical training is often provided by a number of sources including supervisors, managers, subject experts, suppliers, and web-based training programs. It is recommended that an employer keeps a written record of all training and orientation provided to workers. Note: Requirements marked with ** are also valid for contractors. Ensure that the time spent by a worker in the training required by subsection (1) is credited to the worker as the time at work, and that the worker does not lose pay or other benefits with respect to that time. Instruct workers in safe work procedures. Train workers for all tasks assigned to them and regularly check that they are doing their work safely. The task will determine how often checks will occur. Check daily or routine tasks more frequently than task workers perform less often. Ensure that only authorized and adequately trained workers operate tools and equipment or use hazardous chemicals. Know and follow company health and safety policies, practices, and procedures that apply to the job. Participate in all required health and safety education and training. Step 1: Evaluate the situation and determine what the worker needs to know (education) and the required competencies (training). 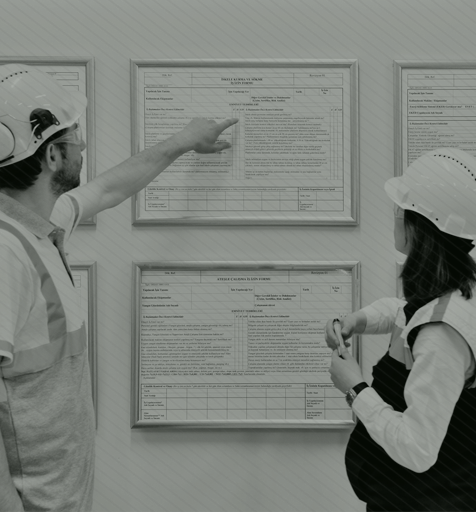 Step 2: Train the workers, typically using a prepared orientation checklist that covers all key topics. Step 3: Ensure that the worker understands the training through testing (formal and informal). A checklist helps you cover all relevant sections during the orientation. Source: Health and Safety of Workers Orientation and Training: A Guide for Employers. WorkSafe Saskatchewan and Saskatchewan Ministry of Labour Relations and Workplaces Safety. You may consider having an experienced employee assigned to the new worker as a "safety buddy." (d) the provision and maintenance of a safe means of entrance to and exit from the place of employment and all worksites and work-related areas in or on the place of employment. (b) where the information mentioned in clause (a) or insection 9 of the Act will be posted, provide a suitable bulletin board to be used primarily to post information on health and safety related to the place of employment. (c) supervisors comply with the Act and any regulations made pursuant to the Act that apply to the place of employment and ensure that the workers under their direction comply with the Act and those regulations. (2) A supervisor shall ensure that the workers under the supervisor's direction comply with the Act and any regulations made pursuant to the Act that apply to the place of employment. (b) complies with the Act and those regulations. Health and Safety of Workers Orientation and Training: A Guide for Employers. Young and New Worker Safety Orientation – A Resource for Employers.